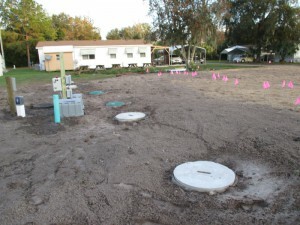 Proper septic tank maintenance in Belleview, Florida can preserve the efficiency and functionality of your septic system. Even though septic systems are relatively easy to maintain, they do need specialized care every so often to ensure their functionality and efficiency. If you want to extend your septic tank’s lifespan and prevent avoidable repairs, at Marion Pumper, we’re here to help with all of your septic tank maintenance needs. One of the main septic tank maintenance tasks you need to have performed on a regular basis is septic tank pumping. By having us come in and perform this service, you ensure that solid waste does not build up in your septic tank and that there is enough room for additional wastewater from your home to make its way through your system. Avoid flushing diapers, tissues, paper towels, and pretty much anything else besides toilet paper down your toilet. Do your best to keep grease and oils out of your sink while you are cooking. When you do laundry, avoid doing multiple loads consecutively. Contact us as soon as you notice something might be wrong with your septic tank. To find out more about septic tank maintenance and how we can help you keep your septic tank up and running, give us a call at Marion Pumper today. We serve Ocala, The Villages, Leesburg, Marion Oaks, Silver Springs Shores, Ocklawaha, Silver Springs, Huntington, Summerfield, Oxford, Wildwood, Lady Lake, Weirsdale, and Belleview, Florida.